Runza is a restaurant franchise company that values themselves more as a member of a community rather than just a place to eat. They are interested in feedback from their loyal customers to see what works and learn about areas they can improve on. This is all done through the straightforward Runza survey. Below, you will learn more about the survey, how to take it, and even the company behind it all. Back in 1949 in Lincoln, NE, the first Runza Drive Inn opened up. 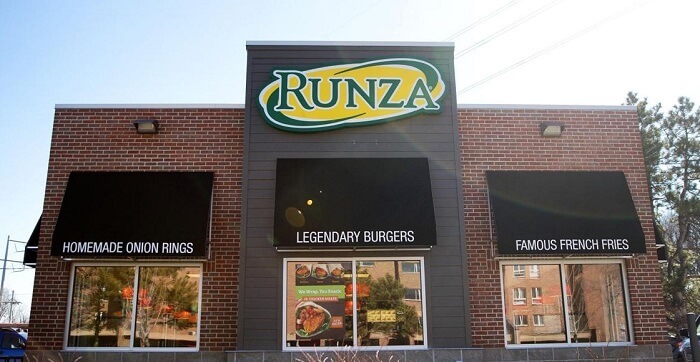 By 1966, the company expanded to host a second location and eventually purchased the trade name “Runza Restaurants”. In 1979, Runza began to franchise out. The restaurant specializes in producing a variety of sandwiches, burgers, onion rings, and fries. 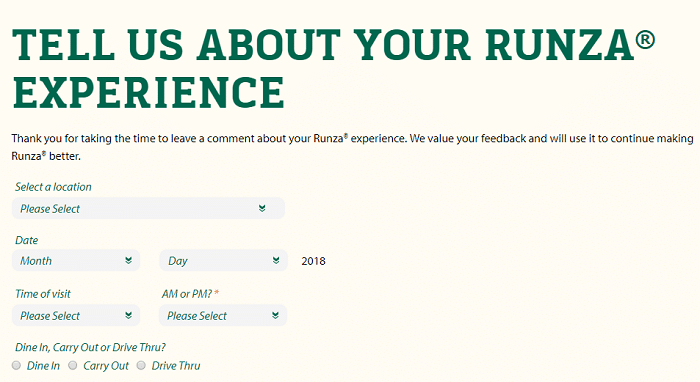 The Runza survey is a feedback questionnaire used so that the company can gather honest opinions about their services and how the customers feel overall. It is a chance for customers like you to share your experience, good or bad. You will answer standard guest survey questions such as rating the service, food quality, and more. The Runza survey is taken all on a single page, so it can be rather quick to complete. The only way you can take the Runza survey is by accessing the company’s official website. As such, a fast internet connection is ideal. It appears that the Runza survey can be taken either on a computer or a mobile device that has a stable enough Wi-Fi connection. Go to the Tell Us About Your Runza Experience webpage. Before you begin, you must select from a dropdown menu the location of your visit. Select whether you dined in, carried out, or used the drive thru. Begin taking the survey by rating your satisfaction about a variety of topics (e.g. food quality, staff behavior, service speed, cleanliness, and more). Once you are finished rating, indicate if you have visited the restaurant before. 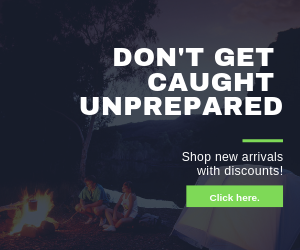 They will ask if you used a coupon and if a promotion/certain product prompted you to visit. There is a section where you can fill out additional comments if you desire. Once the Runza survey is completed, you have the option to fill in your contact information. If you are interested in learning more about Runza, discover their menu, etc., you can do so at their official website. The Runza survey can also be found on a separate webpage on the company’s website. When you take the survey, there is no actual reward. Rather, you are given the option of sharing your contact information in order to receive notifications from the restaurant in the future. As such, there are no real eligibility requirements beyond what is most likely the usual rules for online surveys (e.g. 18-years-old or older). Likewise with many restaurants, different Runza locations can have different hours of operation. Some of the restaurants can run Mon – Sat 10:30AM – 9:30 PM, and Sun 10:30AM – 9PM. At other places, you can find the hours of operation to be Mon – Sun 10:30AM – 10PM. Check in with your local Runza restaurant if you want to learn exact hours. Runza has locations in four U.S. states: Colorado, Iowa, Kansas, and Nebraska. You can use the company’s store locator to search for a specific restaurant. You can get in touch with Runza through a number of ways. The company can be reached by phone at 1-800-929-2394. You can also write to them at Runza National, P.O. Box 6042, Lincoln, NE 68506. On their official website, they have a contact form to be filled out where you can leave comments, suggestions, etc. Additional ways to reach them online is by visiting them at social media and similar websites. Those are listed as followed: Facebook, Twitter, Instagram, and YouTube.